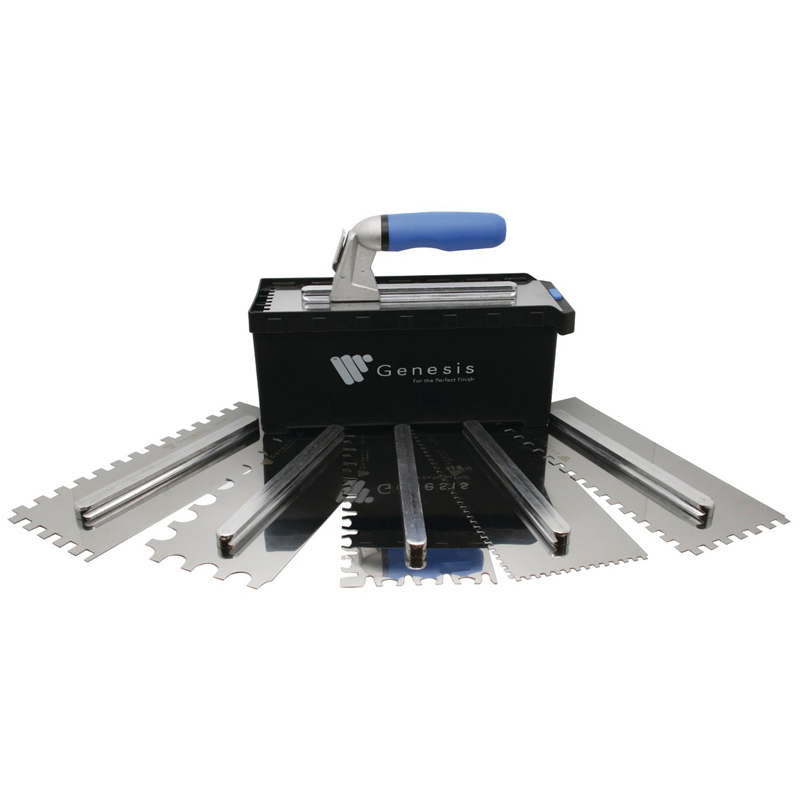 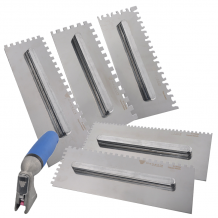 New Stainless Steel Trowel Box Set- Comes complete with 6 blades, an interchangeable handle and carry case which is ventilated at the bottom, making the cleaning process a whole lot easier and convenient. 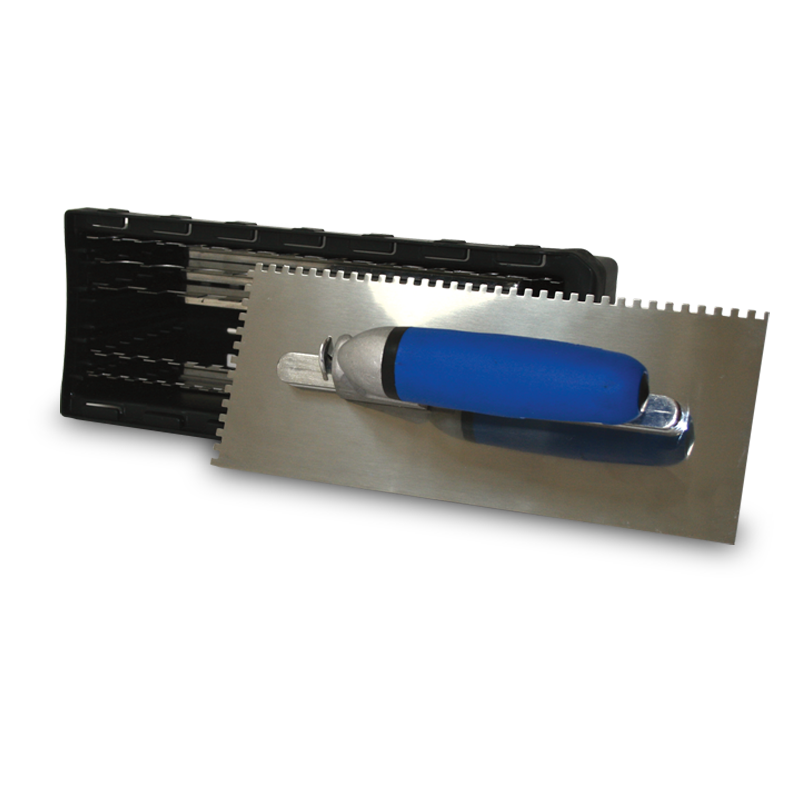 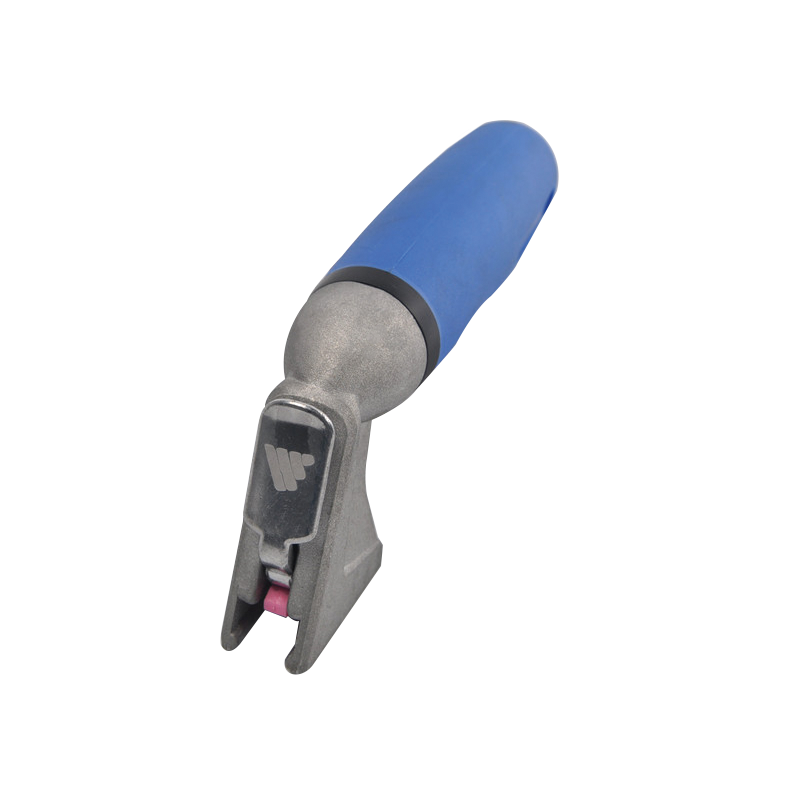 The interchangeable handle enables this trowel to be used by left or right handed professionals with ease. 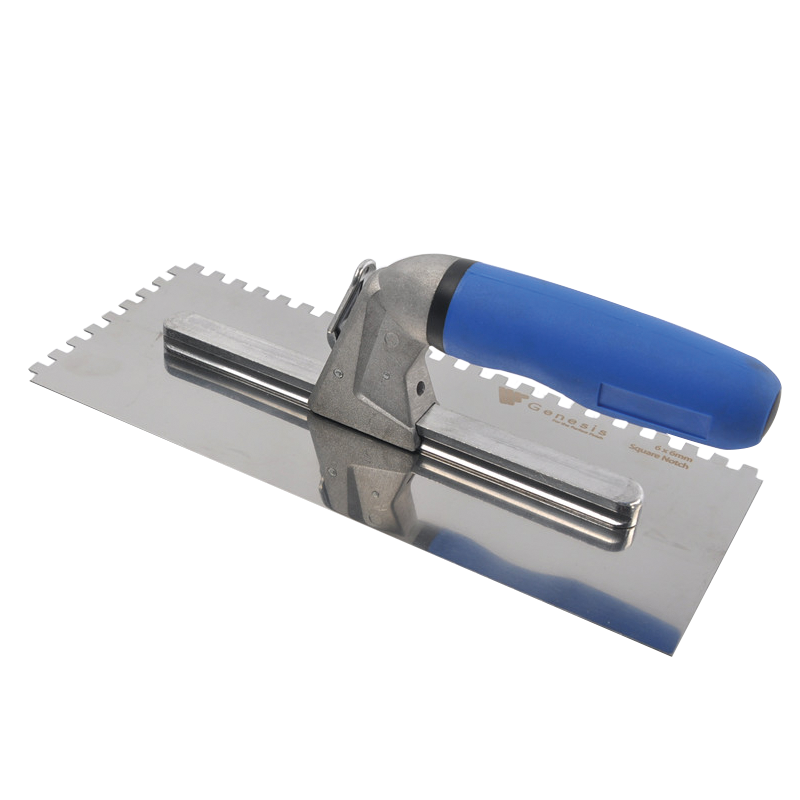 Replacement Trowel Blades for the Trowel Box Set.